When people ask me why I am such a staunch advocate of homeschooling, I tell them it’s because I have seen the products of home education, and they are very impressive. While I was on the faculty at Ball State University, for example, I had students who graduated from public schools, students who graduated from private schools, and students who graduated from homeschools. In my experience, the homeschool graduates were truly head and shoulders above the others. 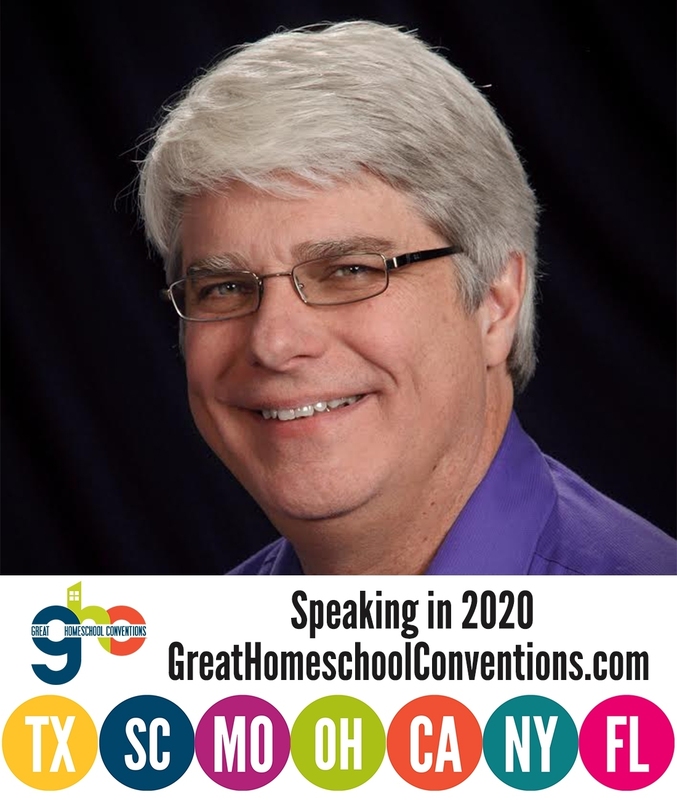 This led me to look at academic studies that evaluated the efficacy of home education, and those studies echoed my experiences – When it comes to academics, homeschooled students are simply a cut above the rest. That’s why I am such an advocate of homeschooling. It’s not surprising, then, that when other universities examine their homeschooled population, they find real success. 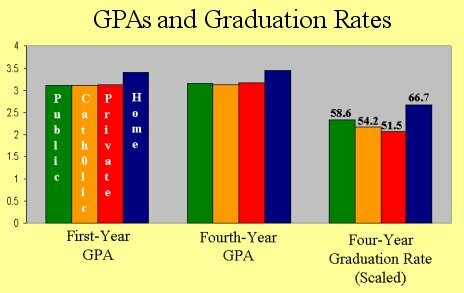 Notice that whether we look at their first-year GPA, their fourth-year GPA, or their graduation rate, homeschool graduates (represented by the blue bars) are simply a cut above the other students. That’s what I saw when I was on the faculty at Ball State University, and that’s what the studies continue to show. Now please note that while this study is informative, it has one major flaw. The sample of homeschooled students was small (just over 70). Thus, you probably can’t draw any firm conclusions from just this study. However, when you combine it with the other information I have discussed in this post, a pattern clearly emerges. That pattern is one of homeschooled students being very successful at college. 1. Daniel Golden, “Home-Schooled Kids Defy Stereotypes, Ace SAT Test,” The Wall Street Journal, February 11, 2000, p 1. I’m enrolled, currently, at Rasmussen College which is a business school. I’m studying accounting (although most of the time it seems rather that I’m provided with gen-eds), and I’m kind of wishing that it were possible just to study the subject, and college subjects in general, autodidactically rather than have to pay $500 per credit hour. The exam for the CPA requires 150 credit hours though, requiring college and the expensive bill afterward. I would rather that it were possible just to take whatever examinations necessary to demonstrate knowledge and comprehension of the subjects I want to learn. If that were possible, then I could study on my own, be able to read the textbooks completely rather than merely rushing through them to meet arbitrary deadlines, and in the end I would be able to remember and understand more of the subject matter and it would only cost me the price of the textbooks and any lab equipment if needed. It would be much easier to learn college subjects on my own, but it seems as though there is a pervasive notion that spending a few myriad dollars is the only way to learn. Ben, the argument is that these qualifying exams (like the one you need to take to be a CPA) can only test certain things. As a result, the only way to make sure you are “completely” prepared for your profession is to have an accredited degree. There is some validity to that argument, but probably not as much as most people think.